I’ve actually been a fan of Amy Winehouse way before Jay-Z decided to jump on “Rehab” and although I’ve never blogged about her, I listen to FRANK quite frequently. Her soulful voice caught my attention years ago and I guess it’s always my secret desire that she’d clean up her cracky ways and come back to her senses. *sigh* Well from this video SinnamonS sent me on Twitter yesterday, it doesn’t appear that will ever happen… not in this lifetime. 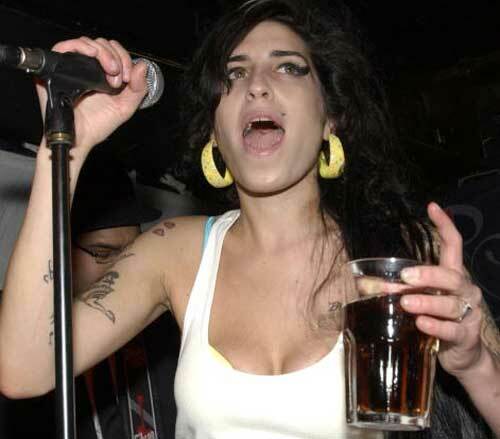 Check out what happens when a cracked out Amy Winehouse attempts to rap. WARNING… it ain’t pretty! What up everbody, it’s zillz again. While Radrick is counting the days away, he made sure that you won’t forget him. Here’s Gucci Mane featuring his buddies in more drug talk in “Bricks”. Nicki Minaj and Buckeey Flavor Of Love / Charm School fame make appearances. From OnSmash. Nothing more to add here. Young Jeezy‘s The Recession coming to leak site real soon.